Squirrel near Elbow Park, southwest Calgary. I’ve never seen the soles of a squirrel’s feet before! 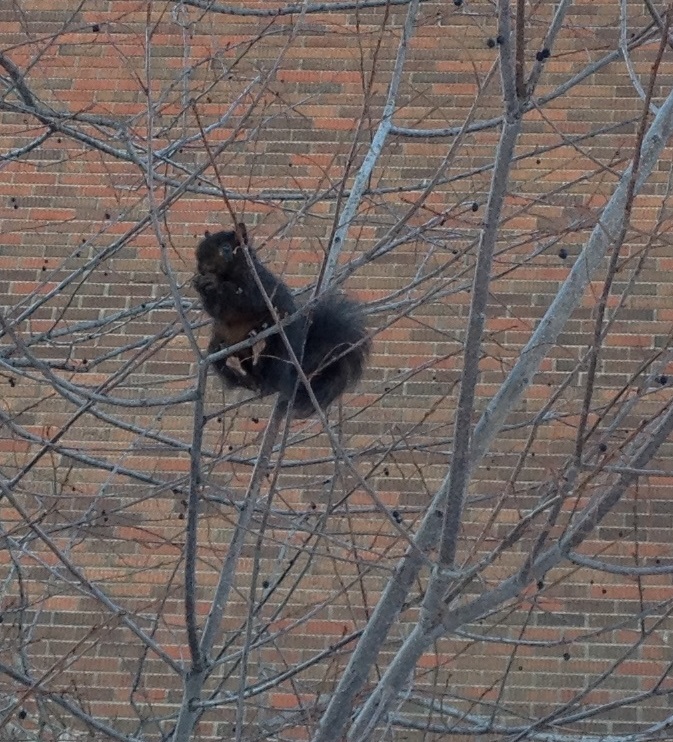 The squirrel was unusually thin for a Calgary squirrel. It was darting from branch to branch, rapidly munching berry after berry. I’ve also never fed a squirrel, so this was the first time I’ve been close enough to hear its munching sounds. It sounded a lot like J’s imitation of an eating squirrel.